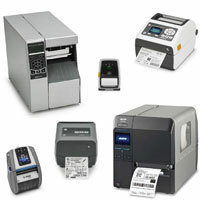 Desktop, industrial and portable printers for all your barcode and RFID tagging and tracking needs. 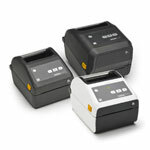 Your Workers have specific needs when it comes to their Barcode and RFID Printers. PTS has all the solutions you need to start Barcode and RFID tracking your equipment today. 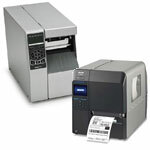 Offering a wide variety of Portable, Desktop and Industrial Printers, we give you the tools to take command of your printing needs allowing you to customize and print on-demand labels and receipts. Due to so many different printer options out there, PTS takes some of the guesswork out for you by offering bundled Printer Kits. 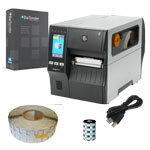 These kits are complete printing systems that include a printer, roll of labels, ribbon, software and anything else needed to get started printing barcode labels and RFID tags. Printing high quality Barcode Labels, RFID Tags and Receipts is just part of managing supply chain functions such as manufacturing, warehousing, and distribution. PTS offers the industry leading Bartender Label Design and Printing Software by Seagull Scientific for printing labels from a PC. 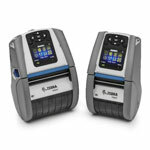 Users looking to print labels from a handheld device can use PTS' own fully customizable TracerPlus mobile barcode and RFID software. PTS supplies all of the essential Barcode Labels, RFID Tags, Ribbons and media for Industrial, Desktop and Portable Printers. PTS also offers pre-printed labels for those of you that don't have time or money to invest in the equipment needed for producing labels.